GSTR 3B is a simple return form introduced by the CBEC for the month of July and August. You have to file a separate GSTR 3B for each GSTIN. For uploading GSTR 3B you do not required to provide invoice level information. Only aggregatevalue of each rate of GST needs to be filled either of Inward Supply or Outward Supply. GSTR 1 is a monthly return that should be filed by every registered dealer. It contains details of all outward supplies i.e sales. GSTR 1 contains details of all the sales transactions of a registered dealer for a month. The GSTR 1 filed by a registered dealer is used by the government to auto populate GSTR 3 for the dealer and GSTR 2A for dealers to whom supplies have been made. GSTR-1 should be filed even if there is NIL returns to be filed (no business activity) in the given taxable period. Every registered taxable person is required to give details of Inward Supply, i.e., purchases for a tax period in GSTR-2. GSTR-2 contains details of all the purchases transactions of a registered dealer for a month. It will also include purchases on which reverse charge applies. The GSTR-2 filed by a registered dealer is used by the government to check with the sellers’ GSTR-1 for buyer-seller reconciliation. GSTR-3 captures the aggregate level outward and inward supply information which will be auto populated through GSTR 1 and GSTR 2. Information would be updated in real time about Input Tax Credit ledger, Cash ledger and Liability ledger. Details of payment of tax and ITC under various tax heads of CGST, SGST, IGST and Cess would be auto-populated from the debit entry in credit/cash ledger, irrespective of mode of filing return. Taxpayer will also have the option of claiming the excess payment of tax as refund for which there will be a field in this return. The return would also have a field to enable the taxpayer to carry forward the excess ITC balance. In case the tax payer has filed GSTR 3B by reporting a Short/Excess Outward Supply, then the tax payer shall report the correct value of Outward Supply in Form GSTR 1. No details of Outward supply will be provided on Form GSTR 2 and after submitting both GSTR 1 and GSTR 2, Form GSTR 3 will be Auto Generated. In case the tax payer has filed GSTR 3B by reporting a Short/Excess Inward Supply, then the tax payer shall report the correct value of Inward Supply in Form GSTR 2. No details of Inward supply will be provided on Form GSTR 1 and after submitting both GSTR 1 and GSTR 2, Form GSTR 3 will be Auto Generated. 3B, then he can make the appropriate corrections in Form GSTR 1and after that the short tax paid will need to paid in Form GSTR 3 along with the Late Payment Of Tax Interest. In case there is a Short Payment of Tax By the Taxpayer due to excess claim Of ITC in GSTR 3B, then he can make the appropriate corrections in Form GSTR 2 and after that the short tax paid will need to paid in Form GSTR 3 along with the Late Payment Of Tax Interest. In case there is a Short Claim of ITC by the Taxpayer in GSTR 3B, then he can make the appropriate corrections in Form GSTR 2 and after that the excess tax paid will be shown in the credit ledger after submission of Form GSTR 3. In case there is a Excess Output Tax Liability reported By the Taxpayer in GSTR 3B, then he can make the appropriate corrections in Form GSTR 1 And Form GSTR 2 and after that the excess tax paid can be utilized for decreased ITC as per Form GSTR 3B or it can be carry Forwarded to the next month return. In case the Tax Payer fails to file GSTR 3B or doesnot pay the tax liability, then the tax payer must furnish details appropriately in form GSTR 1 and GSTR 2. Then while filing Form GSTR 3 the tax payer should pay the Tax Liability along with the interest on Late Payment of Tax. As per Notification 28/2017 dated 01/09/2017, no Late Charges shall apply for Non Filing of GSTR 3B. Input credit implies that at the time of paying tax on output, you can reduce the tax you have already paid on inputs and pay the balance amount. When you buy a product/service from a registered dealer you pay taxes on the purchase. On selling, you collect tax. You adjust the taxes paid at the time of purchase with the amount of output tax and the balance liability of tax has to be paid to the government. This mechanism is called utilization of input tax credit. What is the time limit to avail GST ITC? ITC can be availed by a registered taxable person in a specific manner and within a specified time frame. The following are the different situations wherein the inputs can be claimed for semi-finished goods or stock or finished goods. 1. If a person has applied for registration or is liable to register or is granted registration then – Day from when he is liable to pay taxes. 2. When a person takes voluntary registration – Registration day. 3. When a taxable registered person stops paying taxes in composition levy scheme then day from when he is liable to pay tax normally u/s 7. Input tax credit for these situations can be claimed only if it doesn’t exceed one year from the tax invoice date of issue related to supply. Before you file the annual return, as u/s 30 days, the due date to file the annual return is December 31 after the end of the financial year. a. He is in possession of tax invoice or any other specified tax paying document. b. He has received the goods or services. “Bill to ship” scenarios also included. c. Tax is actually paid by the supplier. d. He has furnished the return. e. If the inputs are received in lots, he will be eligible to avail the credit only when the last lot of the inputs is received. f. He should pay the supplier, the value of the goods or services along with the tax within 180 days from the date of issue of invoice, failing which the amount of credit availed by the recipient would be added to his output tax liability, with interest [rule 2(1) & (2) of ITC Rules]. However, once the amount is paid, the recipient will be entitled to avail the credit again. In case part payment has been made, proportionate credit would be allowed. Conclusively, credit of CGST cannot be utilized for paying SGST/UTGST and credit of SGST/UTGST cannot be utilized for paying CGST. • Capital Goods as described under Chapter 82,84,85,90 of the GST Law. The RajyaSabha has cleared a constitutional amendment to bring out a system of Goods and Services Tax (GST) in India. It is perhaps the most important economic reform on the NarendraModi government’s agenda. This is one reform which affects all of us. Goods & Services Tax is a complicated, comprehensive, multi-stage, destination-based tax that will be levied on every value addition. Goods and Services Tax will be levied on all transactions happening during the entire manufacturing chain. Earlier, when a product was manufactured, there would be an Excise Duty on the manufacture, and then the state would add a VAT tax when the item is sold to the next stage in the cycle. Then there would be a VAT at the next point of sale. The process has changed in the GST regime. Now, Goods and Services Tax will be levied at every point of sale. GST plays a significant role in redefining the current tax structure and thus the economy. Currently, the Indian tax structure is divided into Direct and Indirect Taxes. Direct Taxes are levied where the liability cannot be passed on to someone else. In the case of Indirect Taxes, the liability of the tax can be passed on. One can explain the impact of cascading taxes with an example. For example X sells goods to Y after charging sales tax, and then Y re-sells those goods to Z after charging the same tax. In this case while Y was computing its sales tax liability, it also included the sales tax paid on previous purchase, which is how it becomes a tax on tax. This is also referred to as taxes on taxes. This is where the need for GST arises to do away with the phenomenon. Once the new regime is implemented, harassment of businesses by different authorities will end, and India will have one rate for one commodity throughout the country. With clear road map laid down by the Finance Ministry, the Government seems on course to fast track the entire process to achieve targeted GST implementation effective 1 July 2017. On 12 April 2017, the Central Government enacted four GST Bills.  Taxes on lottery, betting and gambling.  State Cess and surcharges in so far as they relate to supply of goods and services.  Entry tax not on in lieu of Octroi. The above taxes dissolve under GST; instead all of these, only CGST & SGST exist. The sales even under the GST regime would largely remain exempt due to small business registration threshold. Food has an exemption from CENVAT and 4% VAT, the GST under a single rate would lead to doubling of the tax burden on food. India has followed the approach of bringing virtually all financial services within the ambit of tax where the consideration is in the form of an explicit fee. In most of the countries GST is not charged on Financialservices. This sector generally has an inverted duty structure i.e. excise duty on raw material is around 12.5% whereas on finished goods it is around 6-7%, which thus leads to accumulation of refund dues from government. With GST, the Pharma sector is hopeful of making refund process fast and simple, this coupled with savings in warehousing and logistics cost may thus anticipate a positive impact. The Road Transport and Highway ministry is considering an overhaul of around 80 border check posts across the country to ensure seamless flow of goods under the GST regime. Thus, it would be very beneficial for the transportation industry with higher moving time of wheels and lower transit time which will certainly boost the business, reduce inventory holding requirements, transportations cost and better utilization of assets. Sale or transfer of immovable property is outside the purview of GST, however, on procurement of materials for civil construction GST will be applicable and ITC of the same wouldn’t be admissible. This may impact negatively. Hopefully, this issue will be addressed appropriately while declaring the final law. FMCG has seen a consistent growth in the past three – four years.When the GST will be passed and on the opening of FDI, the consumer will have a positive impact on this sector. At the same time, FMCG companies will save on logistics costs. What were the main points in the GST Council’s 8th meeting? In the 8th GST council meeting, the group of members didn’t have any common agreements on the issue of dual control. This issue made people think differently as many had different views on this topic. The State does not want the Centre to have the authority over all the small tax paying entities whereas The State does not have any problem in having Dual Control with the Centre for the authority of all the bigger tax payers. The Council also cannot decide the turnover to defy a small taxpayer from a bigger one, for some a company having a turnover below 5 crores will be a small tax payer whereas as per the Centre a company having a turnover of 1.5 crores will also be a small tax payer. The centre is not ready to accept the demands of state for access over 1.5 crores in case of small tax payers. The council wants to consider a high cut off rate and wants the Central Goods and Services Tax to be administered by the Centre and the tax payers below that cut off should be administered by the State. CESS will be charged on many more goods such as luxury goods, aerated drinks, tobacco products and on high-end cars. The ultra-luxury goods and sin goods will have a GST cess for a period of 5 years. The major part of CESS will depend upon the current incidence of tax, if the clause of GST cess for 5 years raises any profit, then the council will decide on how to use these profits to compensate any other losses incurred by the State or Centre. Only the Clean Environment Cess will be retained and all the funds will be used to compensations. The Government is deliberating all representation from Trade and Industry in the implementation of the GST bill. The Commerce and Industry sectors has given representation from officials to the GST council. The banking and insurance sector also has given representation to understand the impact of GST on products. The Goods and Services Tax is destination based indirect tax, levied at the time of consumption of goods and services by the ultimate consumer. It also aims at simplifying the present tax structure in India. 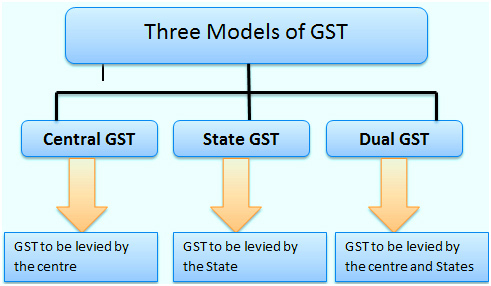 It subsumes taxes like Central indirect taxes – Service Tax, Additional Customs Duty, Special Additional Customs Duty, Central Excise Duty, and Countervailing Duty, and Sale indirect taxes – Sales Tax, Central Sales Tax, Entertainment Tax, Luxury Tax, and Octroi/ Entry Tax.GST is just like a duty just on value addition at every stage. The end consumer subsequently bears the GST charged by the last merchant in the Sales Network, with set-off advantages at all the past stages. 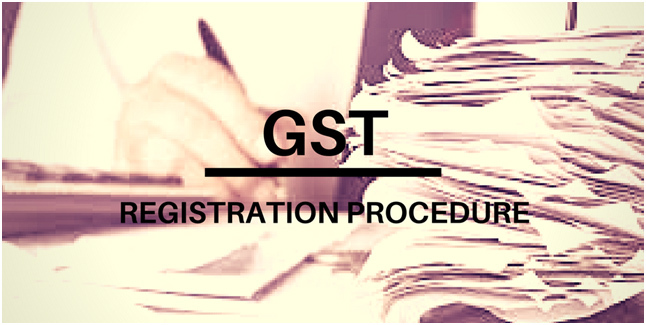 With the GST all set to be rolled out, we look at the registration procedure. Any person carrying on any business who has a taxable supply of over Rs.10 lacs in case of Northeastern States Of India and Rs. 20 lacs in the rest of India would be required for registration of GST in India. A mechanism is available for voluntary GST registration to help claim ITC(Input Tax Credit). It must be obtained under 30 days of exceeding the Rs.25 lacs turnover limit. A procedure would be announced for migrating the VAT or service tax registration as a GST registration. • Every person shall be liable to be registered under this Act if his turnover in a financial year exceeds the taxable threshold limit. It is expected to be provided based on PAN. One of the major advantage of implementation is that the same GST registration number can be used across all states of India against the VAT regimen in which a dealer needs to obtain VAT registration in each of the states (with additional cost and compliance formalities). GSTN maintains a portal for the online GST registration procedure. The applicant is required to submit an online application for GST registration along with the entire and specific details of the goods and services to be dealt. A temporary GST registration number would be provided post the submission of application and the online payment of registration fee. A copy of the application must respectively be printed, attached with the other mentioned documents and then couriered to the GST department. A final GST certificate would be issued by the concerned officer post the verification of the application along with the documents. On the registration of a business it will get various advantages of the implementation of GST. Business will legally be approved to gather charge from buyers and pass the tax credit on to the buyers or beneficiaries and will be legally perceived as a provider of goods and services. 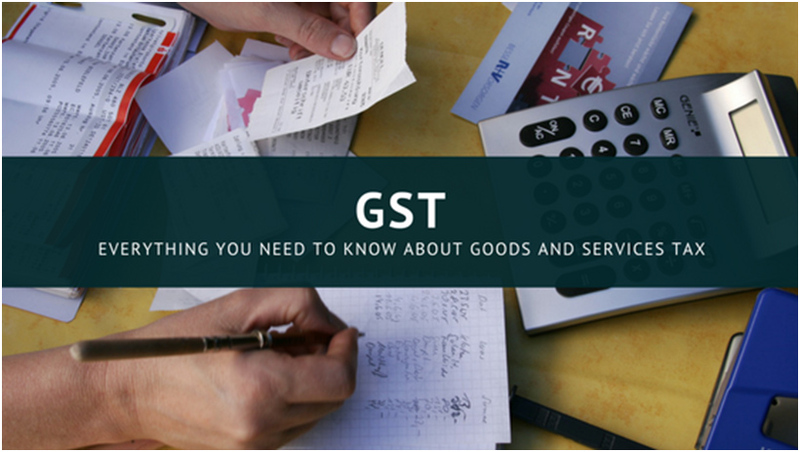 The business shall thus be having a proper bookkeeping of expenses paid on the input goods or services which can be used for payment of GST due on supply of products or services by the business. GST is Goods and services tax which will substitute the old tax regime, where the ultimate tax burden and its cascading results will be lessened, with a concept of ONE INDIA ONE TAX. Under this model there will be a single indirect tax, i.e GST which will substitute various indirect taxes levied on goods and services from manufacture till consumption. Under this tax regime the concept of origin based taxation has changed to consumption based taxation (or destination principle). CGST – Central excise duty, Additional excise duty, service tax, CVD, Spl. Add. Duty @ 4%, surcharges and cess levied by central govt. Rates will be same across India. SGST – Sales tax/VAT, Entertainment tax, luxury tax, taxes on lottery, betting & gambling, octori& entry tax, purchase tax, Surcharges &cess levied by state govt. Rates may vary for different states. IGST – Taxes will be levied on interstate trade and taxes levied in the case of import. It will be sum total of CGST & SGST. The government of India is committed to replace all the indirect taxes levied in India with one tax GST, other than alcohol for human consumption. Provisions will be made for removal of 650 check posts and 11 local taxes across India. GST will be levied on sale of newspapers and advertisements. Stamp duties imposed on legal documents by states will continue to be levied. Petroleum and petroleum products may be subject to GST. The list of exempted goods and services would be kept to minimum, it would be harmonised for the centre and state as far as possible. GST is value addition at each level in the supply chain which will be applicable to both goods and services. Where credit will be allowed for tax paid on input used in manufacture or for using any input service. 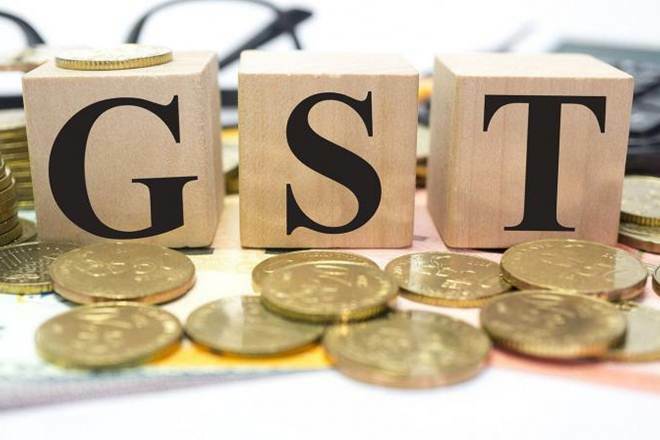 The Centre GST and State GST will be levied would be levied simultaneously on every transaction of supply of goods and services except on exempted goods and services, goods which are outside the purview of GST and the transactions which are below the prescribed threshold limits. Input or input services for personal consumption will continue to be GST regime. An additional 1% tax will be levied by the centre which will be redirected to origin states for a period of 2 yrs or more as may be proposed by the central govt. Metals – Current Tax Rate is 18%. After GST it is 18%. No significant impact. Real Estate – Current Stamp Duty is 15%. After GST it is 16%. No significant impact. Logistics – No change in Tax Rate after GST. Positive for Container Corp, GATI, etc. The Levy in the common parlance means charge or imposition or collection of tax by authority. For the purpose of collection of tax, the authority should have the power of collection of tax. Section 7 of Model GST Act 2016, sets out that CGST/SGST and IGST shall be levied on all intra-state sales and interstate supplies of goods and/or services. The Assessee who has an aggregate income of Rs. 50 lakh are eligible for composition levy, where amount of tax payable is 1% of the turnover during the year where the assesse shall not be entitled to claim any input tax credit. Under the GST regime the threshold limit for SME’s is proposed to be around Rs. 25 Lakh. The lowering of the threshold would bring many SME’s under the Tax bracket. GST Model law has also brought supply of goods or services without consideration, under the tax bracket, by imposing tax on value derived under Rule 4 of valuation rules. electronically, providing the details of the amount collected on behalf of each supplier in respect of all supplies of goods and/or services effected through the operator. Imported goods would be liable to custom duty along with IGST (equivalent to IGST on similar goods in India). Chapter-V states that Every taxable person shall, subject to such conditions and restrictions as may be prescribed in this behalf, be entitled to take credit of input tax and may deduct the amount of admissible credit in respect of a tax period from the output tax for the same period and pay the remaining amount, if any, to the credit of the appropriate Government (i.e. 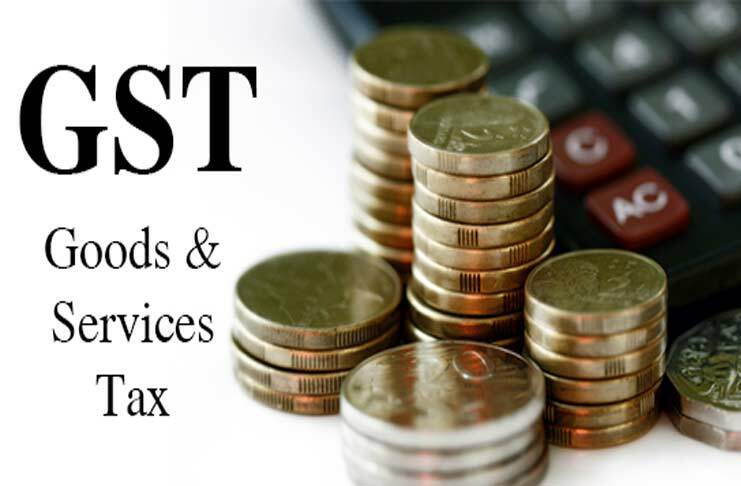 Central Government in case of the IGST and the CGST, and the State Government in case of the SGST) within such time and in such manner, as may be prescribed. IGST paid on interstate purchase shall first be utilised towards payment of IGST then (if amount remaining) towards payment of CGST and SGST, respectively. CGST paid on purchase shall first be utilised towards payment of CGST then (if amount remaining) towards payment of IGST. SGST paid on purchase shall first be utilised towards payment of SGST then (if amount remaining) towards payment of IGST. ITC of CGST cannot be utilised towards payment of SGST. ITC of SGST cannot be utilised towards payment of CGST. Every deposit made towards tax, interest, penalty, fee or any other amount shall be credited to his Electronic Cash Ledger. Input Tax Credit as self-assessed in the return shall be credited to his Electronic Credit Ledger. The amount available in this ledger may be used for making any payment towards tax payable under GST Law. Registration Certificate in case of other businesses like Society, Trust etc. which are not captured in PAN. In case of Companies, GSTN would strive for online verification of Company Identification Number (CIN) from MCA21. Constitution of business / applicant as per PAN would be taken except for businesses such as Society, Trust etc. which are not captured in PAN. Partnership Deed would be required to be submitted in case of Partnership Firms. In case of Own premises – any document in support of the ownership of the premises like Latest Tax Paid Receipt or Municipal Khata copy or Electricity Bill copy. This is required as an evidence to show possession of business premises. If the documentary evidence in Rent Agreement or Consent letter shows that the Lessor is different from that shown in the document produced in support of the ownership of the property, then the case must be flagged as a “RiskCase”, warranting a post registration visit for verification. GST Law Drafting Committee may add penalty provision for providing wrong lease details. Details of Bank Account(S) Opening page of the Bank Passbook held in the name of the Proprietor / Business Concern – containing the Account No., Name of the Account Holder, MICR and IFS Codes and Branch details This is required for all the bank accounts through which the taxpayer would be conducting business. Letter of Authorisation or copy of Resolution of the Managing Committee or Board of Directors to that effect This is required to verify whether the person signing as Authorised Signatory is duly empowered to do so. This structure would overall reduce the combined rate of taxation and the cascading burden on the economy. This would increase the productivity and performance in the economy. Indian truck system will work effectively with removal of 650 check posts and 11 local taxes. Reduction of cost to the company for extra working capital. Reduction in typicality of existing tax structure in India. A transparent and simple tax regime of ONE TAX ONE INDIA. When the aviation industry was witnessing the much awaited growth with increasing domestic traffic, the GST implementation might slower the rate at which the industry is expecting growth as flying will become expensive. India, on one hand, has the lowest insurance penetration in the world (less than 5% of Indian population & half of the global average) and on the other GST will further make the insurance products dearer. 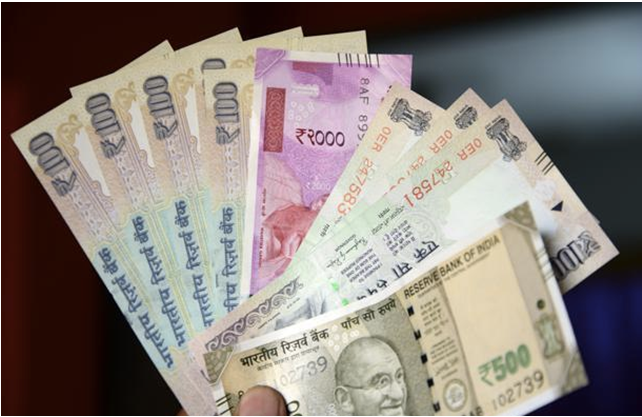 The Banking & Financial Sector (including Insurance as statedabove) might take a hit as currently the effective tax rate in the sector is 14 per cent, which is levied only on fee component (and not interest) of the transaction. Under GST, effective tax rate on fee-based transactions is expected to increase to 18-20%. Petroleum products form a majority import value in the Indian ecosystem. However, key petroleum products like crude, natural gas, high-speed diesel and ATF have been kept out of GST. A seamless implementation of GST may boost growth of the overall economy to a level that the above stated pitfalls might be merely seem as part and parcel of the India growth story. When most of the sectors grow simultaneously, it might increase jobs and disposable income of individuals to an extent that the dearness brought by GST gets offset. Analysts are already predicting 10% GDP growth for the Indian Economy with GST coming into effect. Read more about Registration of GST and about the GST’s 8 Council meet here. How to apply for TDS Refund?